Holocaust Savior, Sousa Mendes, commemorated on the anniversary of his death. 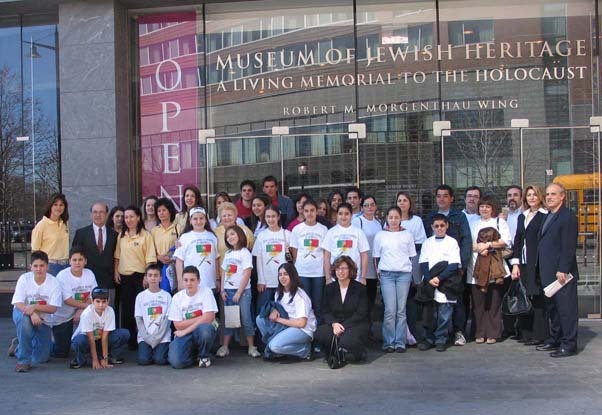 New York and New Jersey Schools visited the Museum of Jewish Heritage today in memory of Aristides de Sousa Mendes. School buses arrived at and the commemoration guided visit began at the Rescuer’s Gallery of the Museum, located at 36 Battery Place. 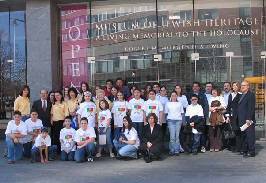 The event, aimed at recognizing the anniversary of Sousa Mendes’ death, was available to the patrons of the museum. 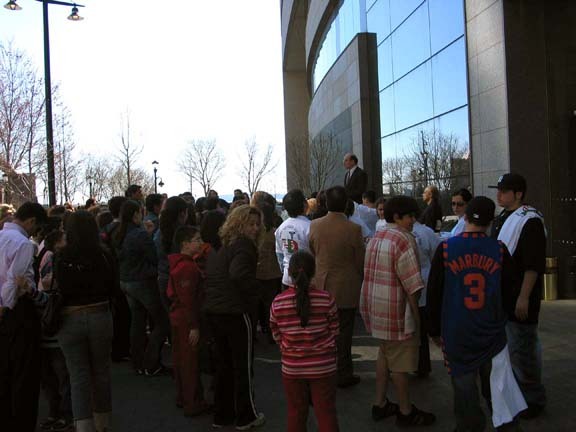 Five Portuguese schools attended the event, including: Jufante D. Henrique School of Mount Vernon, Joao de Deus School of Yonkers, Antero De Figueiredo School of Farmingville, Julio Dimis School of Minneola, and Luis De Camoes School of Newark, New Jersey. Besides the students; teachers, parents and friends attended. Also present was Luis Janota, President of the Portuguese Sports Club, and Sheila Abranches, granddaughter to Artistides de Sousa Mendes. In 1940, Aristides de Sousa Mendes was in charge of the Portuguese Consulate in Bordeaux, France. He was known for his courageous efforts during the Holocaust. As a diplomat, Sousa Mendes risked his life forging visas to allow refugee entry into Portugal, saving thousands from deportation to concentration camps. He also housed many refugees in an underground railroad of sorts during the Nazi takeover of Western Europe. His outstanding humanitarianism was sorely overlooked by his country and was shunned by his successor, Premier Antonio de Oliveira Salazar, for his blatant disregard for Portugal’s political stance during the Second World War. Aristides de Sousa Mendes was born July 9th of 1885, in the village of Cabanas de Viriato in the Northern Province of Beira Alta, Portugal. He was the son of Jose de Sousa Mendes, a high court judge, and Maria Angelina de Abranches. He married his cousin, Angelina, just before entering the Foreign Elegance in 1910, and together they gave birth to 14 children. In 1929, he was promoted to Consul-General, and as such, he only used his power for benevolence. After the war, the Consul-General was stripped of his title for taking action against the ideals of his successor and became extremely impoverished. He could not find work and by order of Salazar, no one was allowed to show him charity of any kind. Sousa Mendes and his family were destined to starve for their compassion, and on April 3rd, 1954, Sousa Mendes died. The International Raoul Wallenberg Foundation would like to keep the memory of Sousa Mendes and his awe-inspiring courage alive by honoring the anniversary of his death. 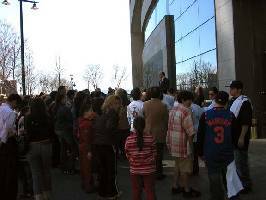 The Foundation’s mission is to ”develop educational programs and public awareness campaigns based on the values of solidarity and civic courage, ethical cornerstones of the Saviors of the Holocaust.” Their goal is to keep a strong idea of the Holocaust aware so that overt ill-patriotism will not repeat itself in the future. Ideally, the Foundation would like to create a universal appreciation for cultural humanity. Beyond their eager efforts to commemorate Sousa Mendes, the Foundation also has various other events going on throughout the month that are open to the public. On Wednesday, April 26th, the Foundation will pay homage to the Saviors of Portuguese speaking countries organized together with the Consulates of Portugal and Brazil in New York. To see more about this or other events that the Foundation is supporting, please visit the website at www.raoulwallenberg.net or contact the Foundation at irwf@irwf.org.